Although Nintendo has been a strong force in the gaming arena since the 80’s, it has branched out into other businesses of late. An example of this is the Japanese company’s partnering with Universal to bring its characters to its theme parks back in 2015. And now we know that this won’t just be a simple licensing deal. Actually, veteran game designer Shigeru Miyamoto, who is behind renowned Nintendo characters like Link and Mario, said as much in a recent Q&A session with investors, as reported on GameSpot. According to Miyamoto this “is a highly collaborative project between both companies, including a large number of Nintendo developers, myself included, so please look forward to more information to come”. Construction of the Super Nintendo World area in Universal Studios Japan is already under way, and you can watch the groundbreaking ceremony below. According to Nintendo, the park will feature attractions based on its games as one can logically expect, and also shops and restaurants for attendees to enjoy. It is expected that the Nintendo area in Universal Studios Japan will be complete by 2020, just in time for the Tokyo Summer Olympics, meaning those who attend the games will also have a chance to enjoy the brand-new Nintendo attractions at the Universal park too (if they are willing to make the trip to Osaka, that is). 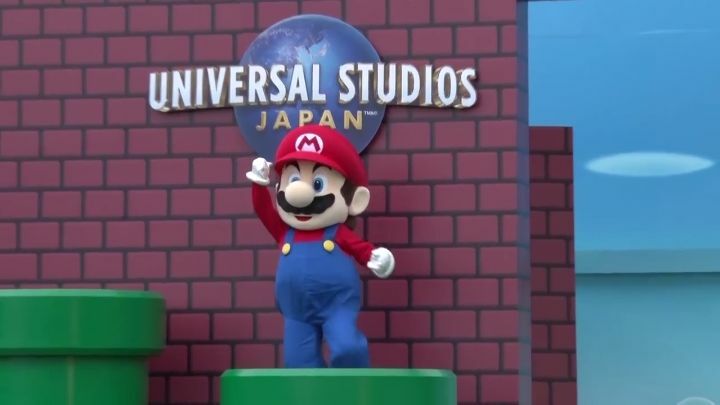 Aside from the Super Mario World area in the Universal Studios Japan park, Nintendo is also looking to develop two similar areas in Universal’s parks in Orlando and Hollywood. All this will certainly be great news for Nintendo’s fans, as the Japanese company’s involvement in the design of Super Nintendo World means that the attractions and rides will be as true as possible to Nintendo’s games, meaning many people will no doubt be looking forward to the park’s inauguration come 2020.